The service by both Laura and Christine were exceptional. Anytime I had a question or concern they would answer my questions and if they didn’t have the answer about the property I was going to rent, they would immediately get the answer for me. 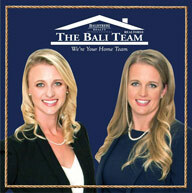 You couldn’t ask for a better realty company then Balistreri. Thank you both Christine and Laura and your team of excellent realtors.